Molly Marten’s lawyer said he believed the children are already in Ireland. Tracey Lynch and Jason Corbett. THE STEPMOTHER TO Jason Corbett’s children has lodged an appeal to the custody ruling made yesterday in a North Carolina court. Yesterday’s ruling appeared to clear the way for Corbett’s sister Tracey and his brother-in-law David Lynch, who were both named in his will as the children’s guardians, to take Jack (10) and Sarah (8) back to Ireland. However, Molly Martens has lodged an appeal to yesterday’s decision. The family were only informed of the development this morning. John Corbett, Jason’s brother, told RTÉ’s Keelin Shanley they were relieved to get the news yesterday that the children were coming back to Ireland. He said the appeal is unfair to his family, stating the whole event has left them traumatised. John called the actions taken by Martens as “cruel”, saying if she loved the children she would not have taken it this far. He said he believed the appeal was lodged to delay the travel of his niece and nephew. Yesterday, his sister Tracey Lynch was given the passports of the children and told they were free to travel, he said. “We are in tenterhooks at the moment,” he said. However, he believes any court would rule in their favour. Once the children are out of the jurisdiction she will lose any rights, said John. This evening, Martens’ lawyer told Drivetime he believed the children were already in Ireland. However, this could not be confirmed. Corbett (39) sustained fatal head injuries during an alleged assault in his North Carolina home earlier this month. His two children from his first marriage had been in the care of their stepmother Molly Martens since his death. Martens and her father have been questioned over the incident and named as ‘persons of interest’. The police said they are not looking outside the family unit in relation to the crime. On Monday evening, the children were removed from her custody. 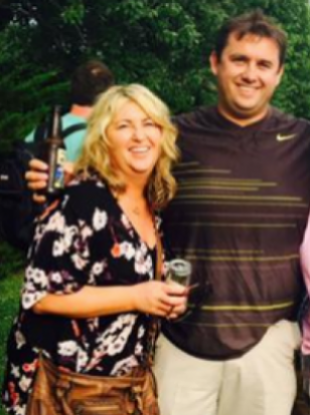 The grandmother of Jason Corbett’s children, Marian Fitzpatrick said she was “over the moon” when she heard her grandchildren were coming home, saying it was better than winning the lotto. She said the family had been making arrangements to bring the children home to Ireland where their father will be laid to rest. This week, Fitzpatrick said she got to speak to Jack and Sarah for the first time since their father’s death. Fitzpatrick, who is the mother of Mags Corbett, Jason’s first wife, who died from an asthma attack in 2006 is just out of hospital following a hip injury. She said she asked the children if they were coming home to mind her. They said: ‘Yes, granny’. Sarah said: ‘I am going to do your hair and I’ll do your nails.’ So that is something to look forward to. She said the past three weeks had been “horrendous”. There is a long road for them but with the love they are going to get from both families they will come out tops. When that plane lands we will be there. My incentive is Jack and Sarah and I’m going to get well so I can run around with them kids and give them hugs and kisses and let them know how much we love them. The grandmother said she maintained a close relationship with the children and Jason following her daughter’s death. When Jason said he was going to remarry, Fitzpatrick said she asked him if she was still his mother-in-law. “You are Mar,” he told her. He always kept her alive with the kids too – talking about her, pictures, the grave, they used to write letters to her and tell mommy everything they used to do and at Christmas time he took the kids home and surprised us. That was the best Christmas present I ever got. Ireland was where Jason wanted to bring the children up, she said, adding he was planning another trip home with the kids soon. Lately he was getting a little bit home sick. Following his tragic death. she said she assumed there would be no issue with bringing the children home to Ireland as Jason had stated his wishes in his will. When the family were told it was being challenged she said it was “horrendous”. Tracey and David Lynch now face a huge legal bill following their fight in the North Carolina court. Fitzpatrick said the expense to the family is “atrocious”. I hope justice will be done and the Corbett family will get answers. I am very angry. The Irish Daily Mail’s Catherine Fagan, who was present at the custody hearing yesterday, told Drivetime Martens was “very upset” when the verdict in her failed custody bid was read out. She was comforted by friends in court. Speaking to RTÉ News, Tracey Lynch said they were delighted with decision made yesterday. She said that now was the time to focus on the healing process and the burial of their loved one. Lynch said they expected to make arrangements to bring the children home to Ireland at the weekend. Email “Corbett custody battle: Stepmother issues appeal”. Feedback on “Corbett custody battle: Stepmother issues appeal”.